What is the importance of meditation? Meditation is basically to train your mind to be more focused. This way, you can think more clearly and calmly as well as feel more relaxed. There are many kinds of meditations and some of them are often related to certain rituals or religious practices. The importance of meditation itself is varied based on your conditions and needs. Basically, the importance of meditation is divided into 2; the importance for physic and mental. For your physical conditions. For you who have a problem of gaining weight, you can do meditation as an effort to bring back your ideal body weight and shape. Interestingly, for you who think that your body is too thin, you can practice it as well. It is because during the meditation, you tend to control and manage your appetite even only for snacking. Due to the ability to control the appetite, the digestion process tends to work calmly and more optimally. This way, you can avoid yourself from problems like bloating, constipation, and diarrhea. Sure, this thing must be balanced by eating nutritious foods. That’s why; this matter is called the importance of meditation for students and career people who have a very hectic schedule so that they may forget to eat. If you are one of them, make sure to spare your time around 15 minutes for meditation. Another importance of meditation and yoga for your physical health is its ability to control your blood pressure. Meditation may make your body not responding to the hormone that causes the stress. That’s why; the blood pressure tends to be controlled well and problems like hypertension can be simply avoided. For the same process also, women can also avoid the Pre-menstrual Syndrome (PMS) like dizzy, migraine, fatigue, and more. Due to the body and mind that tend to be more relaxed, meditation is also believed to relieve insomnia. This also helps you to manage your body biological schedule well. In other words, when it is the time for you to sleep, you can just simply sleep. All people may want to stay young and healthy. Unfortunately, this is not something easy to achieve when your lifestyle is not good enough. Interestingly, the key to anti-aging is actually not that complicated. You only need to be calm, relaxed, and not stressed. So, meditation can just help you to have such conditions. And consequently, it turns your body to look healthier and, of course, younger. Meanwhile, meditation is also important to keep your mental good. 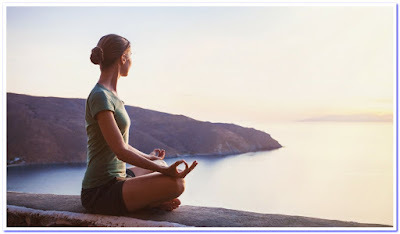 So, what are the benefits of meditation mentally? In the article on benefits of meditation, it is often said that meditation is able to bring happiness. Is that true? In general, meditation tends to let you think positively for many things and problems around. By always thinking positively, you may feel always happy every day. Life is always full of problems; this is something you cannot deny and avoided. Sure, it means that all you need to do is solving them, anyway. However, the problems cannot be simply solved if you also feel stressed with it. So, the first solution you can take is releasing the stress first by doing meditation. After feeling more calming and relaxed, it is expected you can clear the problems more wisely. Sometimes, you must be at home alone and you feel so bored for it. Rather than doing anything else, meditation is highly recommended. Not only is it eliminating your boredom, your mind and body, in general, can feel more relaxed and positive. All people may have bad habits including those simple things like gossiping or commenting other people using bad words. Believe it or not, such negative habits are actually really bad for you. So, lessen or even avoid those habits completely by doing meditation. While practicing, play also the meditation informative speech or relaxing music. It will suggest you not to do the bad habits even after the meditation have been done. Meditation is even proven to healing mental illness like kleptomania and psychopathic problems. There is no comment for"The Importance of Meditation for Physical and Mental Health"